Or view larger version. 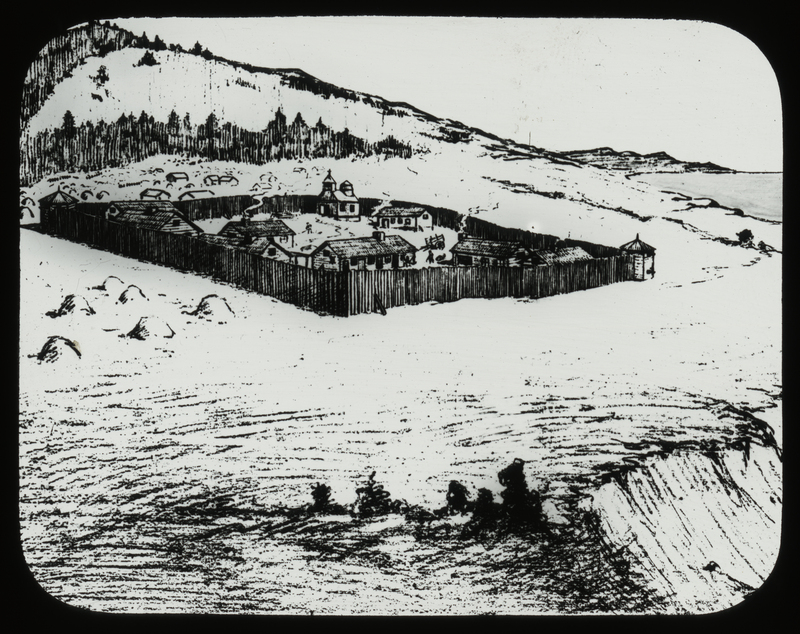 Drawing of Fort Ross. ca. 1900. M. S. Stewart Co. Lantern slide. Collection of Oakland Museum of California. Gift of Bo Peep Chapter, Children’s Home Society. Fort Ross was a thriving Russian-American Company settlement from 1812 to 1841. This commercial company controlled all Russian exploration, trade and settlement in the North Pacific and established permanent settlements in Alaska and California. Fort Ross was the southernmost settlement of Russian colonization efforts in the North America and was established as an agricultural base to supply the Alaskan colonies.